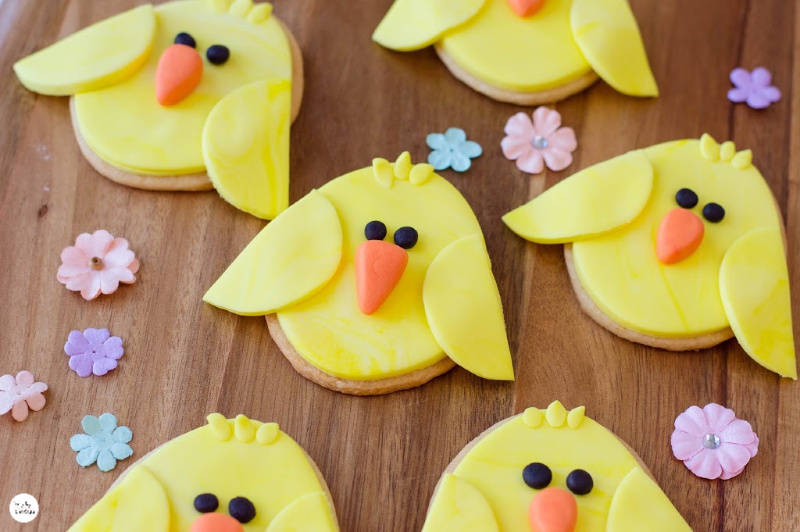 I can’t get over how cute these chick cookies turned out. 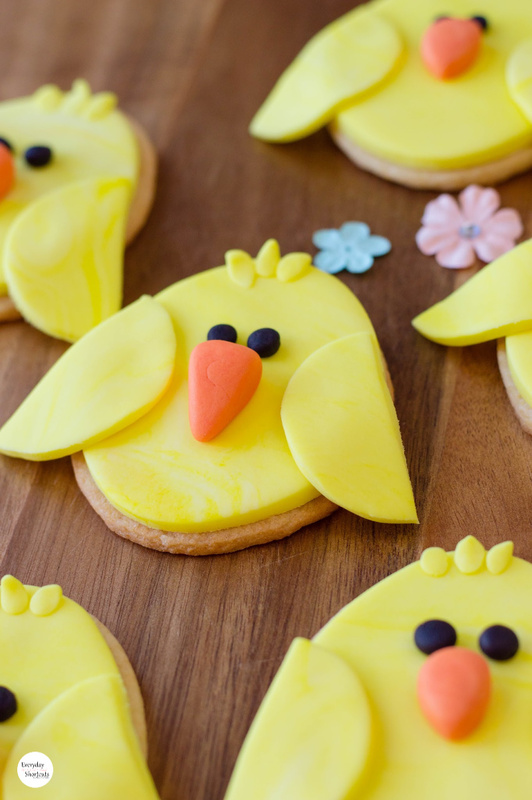 With Easter around the corner, these are the perfect addition to the dessert table. 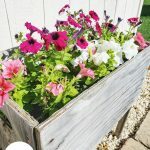 You can use a box sugar cookie mix or your favorite sugar cookie recipe. 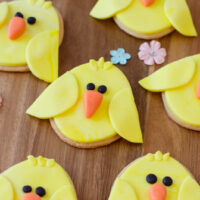 I added my sugar cookie recipe below in case you would like to use it. 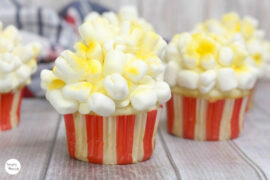 Don’t let the instructions turn you away because there is fondant involved. 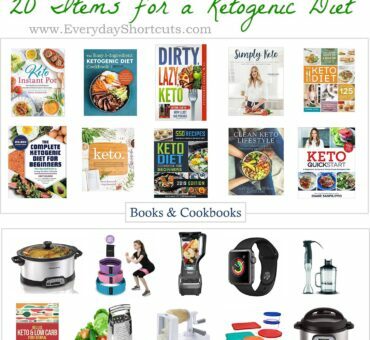 It’s actually easier than you think, I promise. 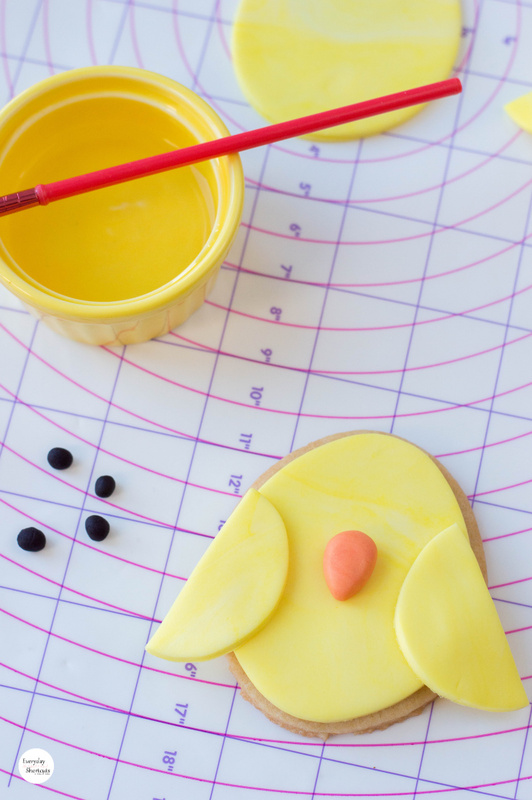 I’m going to break up the directions for the cookies and the decoration process so they are easy to follow making these chick cookies effortless. Cream the soft butter with the sugar until the combination is smooth. Add all 4 eggs at one time and continue to mix. Then, add the vanilla and continue to mix. 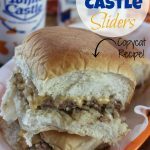 Sift the flour, baking powder, and salt together and add the dry mixture to the wet mixture making sure all ingredients are thoroughly blended. 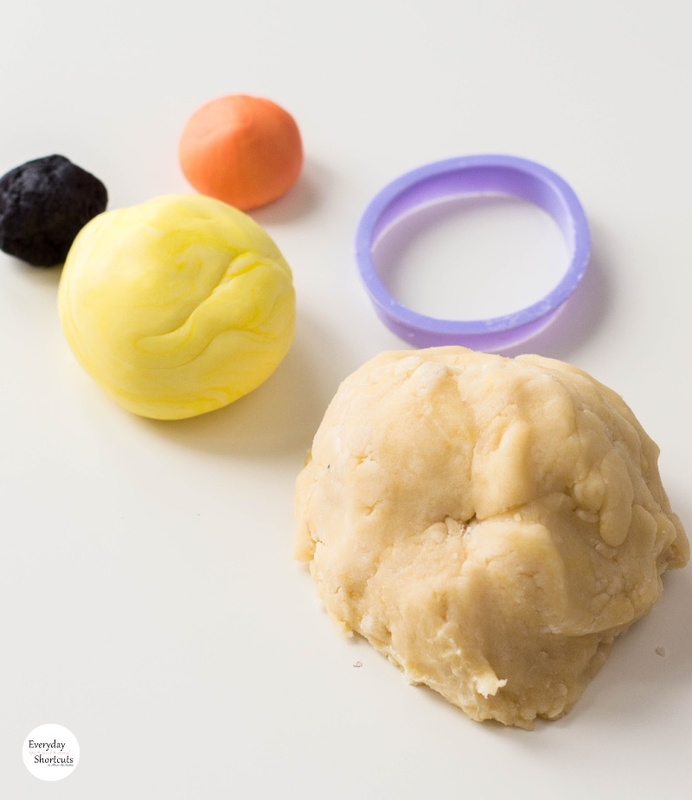 Make the dough into a ball, wrap it in cling wrap completely covering the entire dough ball. 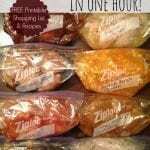 Put in the refrigerator for about 6 hours or overnight. When you take it out make sure the dough is firm. Preheat the oven to 325 degrees and line a cookie sheet with parchment paper while the cookie dough sets out to soften a bit. 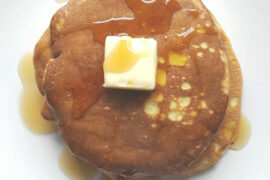 Put flour on a wood cutting board, rub flour on the rolling pin, and work some flour into the cookie dough. 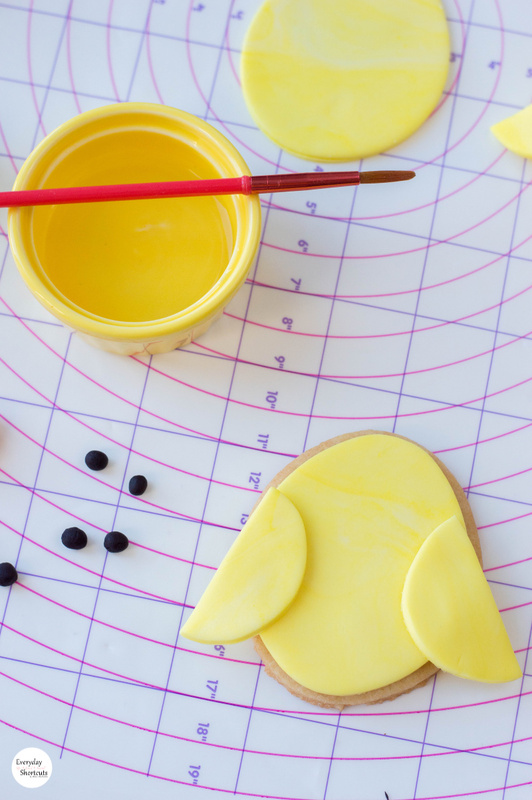 Roll out your cookie dough so that it’s about ¼ of an inch in size. 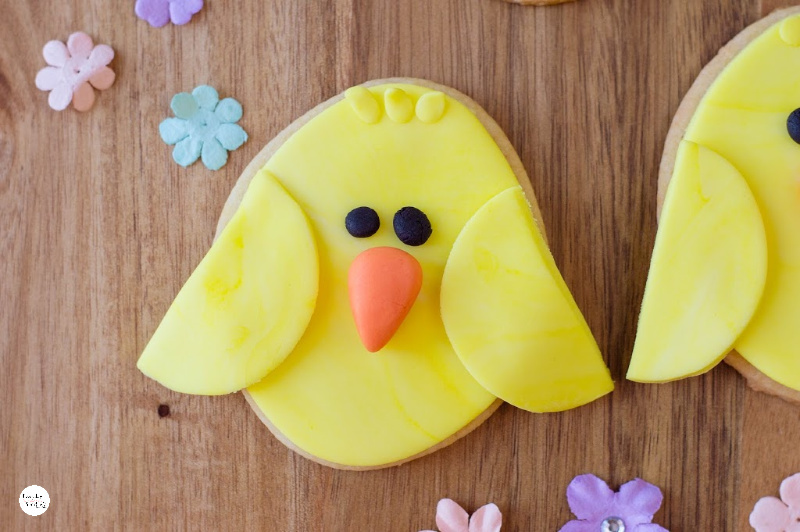 Cut out 12 egg-shapes with your cookie cutter. (If you have any cookie dough leftover, be sure to wrap in plastic and refrigerate for later use!) 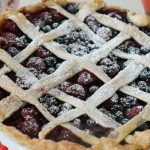 Bake for about 10 minutes and allow to cool completely before decorating. 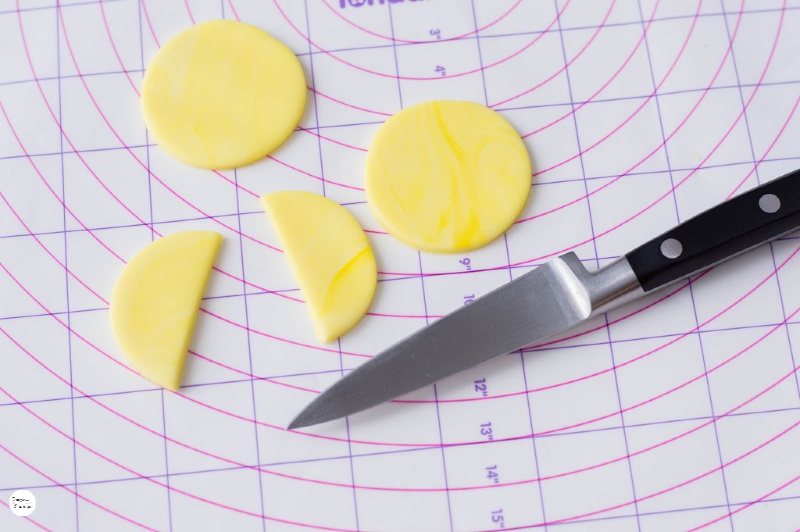 Roll out your yellow fondant so that it’s about ¼ of an inch in size. 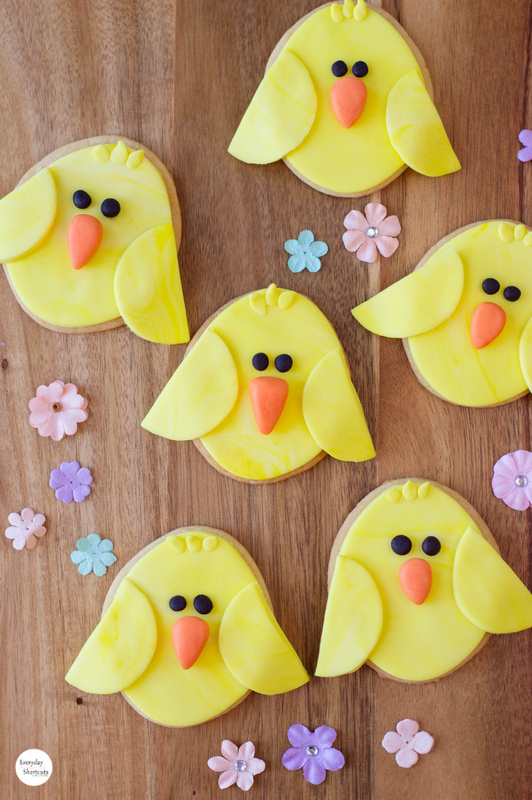 Cut out 12 egg-shapes and press a yellow fondant egg-shaped piece on each cookie. 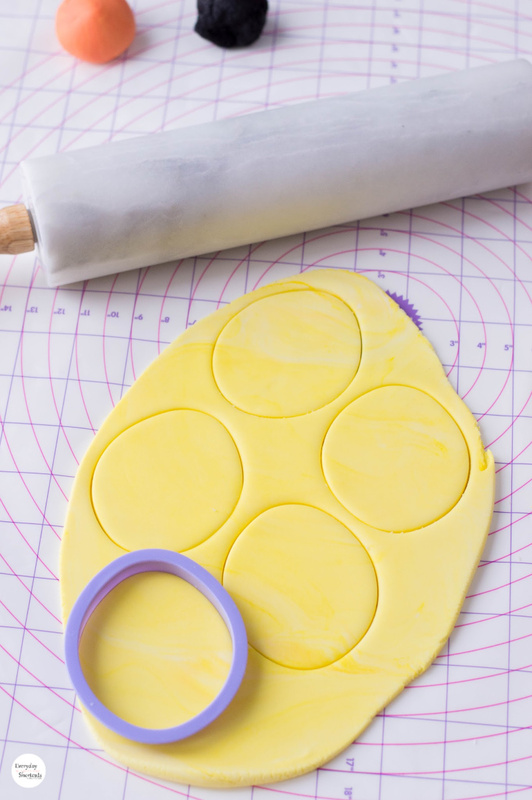 Roll out your yellow fondant again and cut out 12 circles with your cookie cutter. Cut each yellow circle in half. 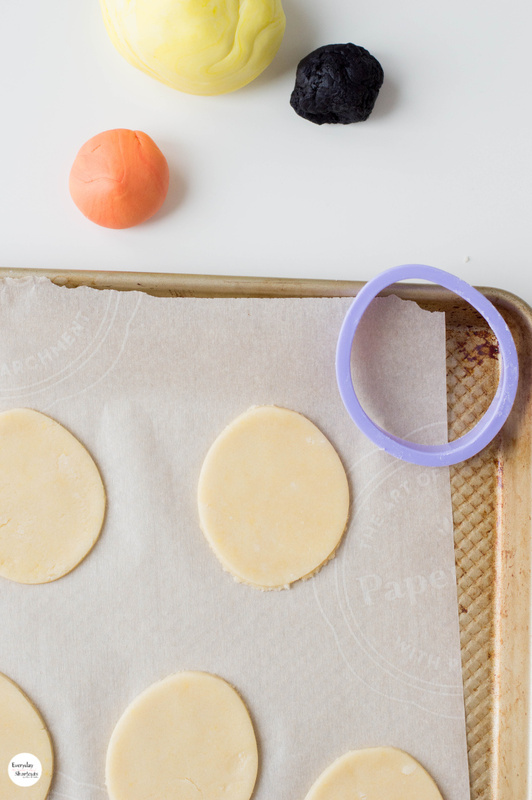 Roll out 12 spheres from your orange fondant, about ½ an inch in size. Flatten each orange sphere slightly, pointing one end. These will act as your chick’s beaks. 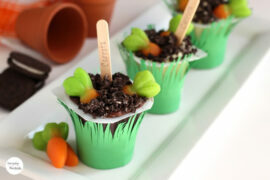 Roll out 24 spheres from your black fondant – about ¼ of an inch in size. These will act as your chick’s eyes.